Aside from the usual local and international tourists, several people are moving from Los Angeles to Las Vegas to live as permanent locals. New job opportunities, affordable housing options, business opportunities, etc., are just some of the reasons why they move to Las Vegas from Los Angeles and other cities in Southern California. Furthermore, this city is quite close to Southern California and is also a big job center. Those who leave the Golden State looking for better opportunities usually will move to Las Vegas. There are several reasons why people are drawn to Vegas. Year-round sunny weather, abundant entertainment and local attractions; affordable housing, low taxes and so much more! Los Angeles and Las Vegas are just a few hundred miles away from each other. In fact, a lot of residents from both areas travel back and forth between each other all the time. And why not? These two states have a lot of things in common like the warm climate and friendly culture. Moving from California to Las Vegas might be the best move you’ll ever make. 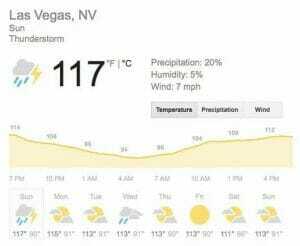 The climate is much hotter in Las Vegas. Las Vegas is situated in a dry, desert valley, so summers in Las Vegas are a lot hotter. Los Angeles on the other hand, enjoys the California sunshine with a bit of a cool breeze that comes from the Pacific Ocean. Also, you should know that temperatures in Vegas can reach to over 100 degrees in the summer and can last for several weeks. But, if it isn’t summer, you can enjoy the fine sunny weather here almost every day, which is perfect for those who love to go and try out some outdoor activities and leisure. Las Vegas has less natural disasters. In California, it’s common to hear about wildfires and earthquakes, but not here in Las Vegas. The air is warm and dry in Las Vegas. The climate in Las Vegas is mostly hot and dry. Unless you’re living in Palm Springs, you’ll need some time to adapt to the warm and dry air here. Those who came from the coastal areas often get the infamous “Vegas Throat”, which results to dry cough caused by the lack of moisture in the air. But don’t worry, this isn’t serious. It’s just the way your body adapts to the new environment. Adding a small humidifier in your room will make you feel better in no time. Las Vegas has no Personal Income Tax. The Entire state of Nevada does not have to pay state Income Taxes. Since housing prices here are relatively cheaper, property taxes can also be quite reasonable. So how is that possible? Well, it’s all thanks to the tourists who come here daily and pay certain taxes like resort fees and sales tax, whenever they visit the casinos, hotels and other business establishments here. Las Vegas is a great place for businesses since business taxes are barely anything and regulations are almost nonexistent as compared to California. Affordable Housing Options. In Las Vegas, it’s easy to find a budget house or apartment. Compared to California, you can get a bargain on housing or rent a 2-bedroom apartment in the suburbs for under $1,000 a month. Purchasing real estate here is surely a lot more affordable. You can even buy a brand-new house for around $200,000 here. Cost of living is above average in Las Vegas. Though you won’t need to pay income tax, the cost of living here can be a bit high due to the prices of food, gas and other utilities plus regular expenses. If you buy a new car, expect to pay a couple hundred dollars a year to register it, depending on the MSRP. Running your air conditioner in the summer is a big expense costing homeowners anywhere from $200 – $400 in July and August. The money you will save in rent or mortgage payments will easily make up for your living expenses. Homes and Apartments in Las Vegas can cost 50% less than homes in Los Angeles. Water is scarce in Las Vegas. The city is located in a dry, desert area, it’s natural that locals would discourage the excess usage of water here. If your neighbors caught you wasting water, they might report you to the water “police”, no seriously, we have water police. You have to adhere to the mandatory watering schedule for your trees and landscaping. However, if you want to get a house or an apartment with a swimming pool, there are plenty available. Plus, there are also amazing water parks here, which both adults and kids can enjoy. Las Vegas is mostly an adult city. If you plan to bring your whole family, including your kids, then you need to be mindful where you take them. You’ll be exposed with lots of “adult activities” scattered around the downtown like billboards, showgirls, street performers, as well as a few weird people who wander some of the most famous tourist spots like Downtown and the Strip. Plus, there’s the casinos, gambling, smoking and the recently legalized marijuana. Before you decide to move here, don’t forget to plan where you want to live first. Don’t worry because there are still a lot of family-friendly residential communities located in the suburban areas of Green Valley, Whitney Ranch, Summerlin, Providence Area, Aliante and so on. Traffic is much better in Las Vegas. You won’t have to sit in bumper to bumper traffic for your commute unlike California. Most of the commutes here are just short distances, so residents no longer have to worry about being late or getting stuck in heavy traffic. Las Vegas is packed with all sorts of restaurants. From food trucks to upscale dining, you’ll find lots of them in Las Vegas. Since this place is a world-famous tourist destination, you’ll see many award-winning restaurants as well as neighborhood restaurants popping up everywhere in the city. There are casino buffets which you can get discounts with your players’ card. In addition, if you’re looking for some home cooked meals, Southern Cal style, then there are lots of food chains like that here, too. Enjoy a tight-knit, small-town vibe in Las Vegas. It might not seem like it, but Las Vegas is still a small town with only an approximate of 2 million residents. In some places, you’ll notice how everybody knows each other. This city is also great for people who’d like to start a new life. Locals here are very welcoming to newcomers. Also, it’s even possible for you to meet and make friends with people from all walks of life in this city. Las Vegas locals are mostly transplants. Most of the residents living here nowadays were once Californians. It’s also the same when you go to Southern California (most of them are from Las Vegas). It’s not that hard to adapt to this city since you won’t feel like a stranger. Your neighbors most likely also moved from somewhere else. Local Las Vegas attractions are just a few miles away. If you want to visit the mountains, you just need to take a short drive there. The lake is also just a few miles away from the town. Moving around in Las Vegas is so easy and convenient since a lot of the tourist places and entertainment areas are just a couple of minutes away by car. For example, you can be in the downtown in the morning and take a 10 to 15 minute drive down to the desert area be back in the city by lunch time. Do not move to Las Vegas from Los Angeles in the summer. The best season to move to Vegas from L.A is in the spring, fall, or even in the winter when moving rates are significantly cheaper. However, if you really have to do it in the summer, then remember to keep yourself hydrated at all times. Also, make sure to keep your children and pets under the shade. What’s even better is to consider hiring professional movers to do this strenuous job for you. moveON moving is one of the top local movers Las Vegas. We provide our clients with an array of affordable and professional moving services from anywhere in Southern California like Los Angeles to Las Vegas and vice versa. We also give our clients a written estimate so they can have an idea about how much it’ll cost for them to move. Since we’ve been in this industry for quite a long time, we’ve moved dozens of residents from Las Vegas to Southern California and vice versa, so you can say that we’re the experts when it comes to these two areas. You could say we are the one of the best movers los angeles to las vegas. Furthermore, we have a team of movers who’re all professionally-trained in handling different kinds of move. Plus, our moving trucks are all ready to relocate you from any place in Southern California to your new place in Las Vegas (and vice versa). As a full-service mover, we take care of the whole moving process from start to finish. We’ll do the packing and unpacking, loading and unloading, even dismantling and reassembling of all your belongings. We’ll carefully load them into our trucks and ship them to your new place in Las Vegas with efficiency. We also handle specialty moves which include moving help with antiques, pianos, safes, vaults, pool tables and so on. In addition, we also offer short or long term storage services right here in Las Vegas so you can keep your items safe and in good condition while you’re moving. If you’re thinking of moving from Los Angeles to Las Vegas, there is no one else to call but the best long distance movers. If you want to know more about what we can do for you, then give us a call or get a FREE quote now and let’s talk about your big move here in Vegas.